Group classes are a cost effective way to learn! We offer group classes that are 45 minutes in length. 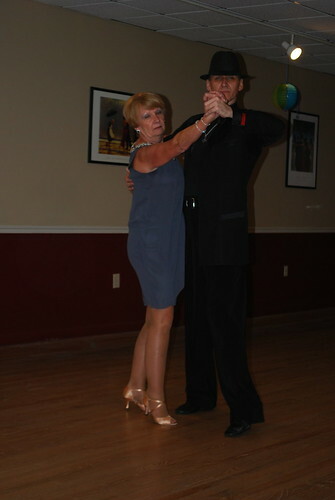 Group classes are a great cost effective way for you to learn steps to a variety of dances, while having fun and becoming a part of the Longwood Ballroom family. 1. Cost effective. Group classes are much more economical than private lessons. 2. No partner required. You do not need to bring a dance partner to participate in any of our classes. 3. Variety. 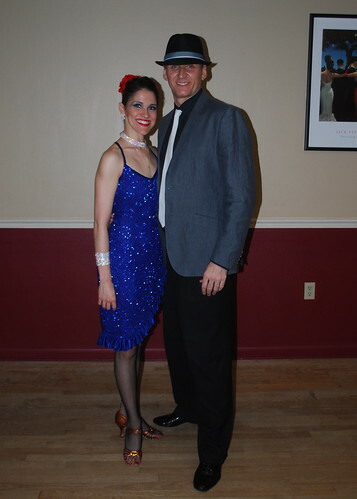 Group classes are a great way to learn basic footwork and technique in various dances. They also expose you to different dances, so you are able to see which styles you like the best. 4. Manners. You are introduced to some of the most important social dance etiquette. 5. Experience. You will dance with multiple partners which will help to improve your dance skills. 6. Social Outlet. Group classes allow you to make new friends with people who share your passion. 7. FUN FUN FUN! Once group classes make their way onto your calendar, they are sure to be something you are looking forward to every week! When you buy 5 classes of a 6 week session, you get one FREE!!! NOTE: To receive Bonus Class, you must register for the full session on the 1st class of the series. * If you miss any class in a session, you have the opportunity to make it up in any of our other classes offered, within one week of the missed class. Latin Cardio – Slim down, have fun, tone up and get down to the rhythms of salsa, merengue, latin pop, cumbia, and MORE!!! Ladies Technique and Styling – Learn how to turn “steps” into a full body dance by refining footwork, arm styling, body isolations, frame, body positioning, and MUCH MORE! Stretching / Yoga – Increase strength, flexibility, balance, and control with a series of flowing combinations and poses all designed to get you familiar with certain motions necessary in all levels of Ballroom Dances.